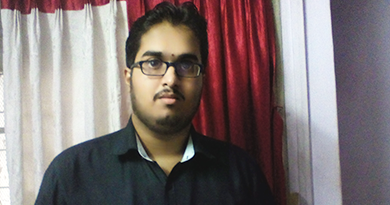 About the Author: Akshay D. Prabhu, a student of Thakur College of Engineering & Technology, shares how he followed his passion for helping students in their academics through an internship. I have always believed that a teacher plays a significant role in molding and inspiring generations, so I was looking for an opportunity to explore the field of teaching. That’s when I came to know about Internshala through my college’s training & placement cell. I visited the website and was taken aback by the variety of internships available on the platform. While looking for an opportunity to hone my teaching skills, I came across a content writing internship at GradeStack Learning Pvt. Ltd. I applied to the internship since it seemed like a perfect opportunity for me to pursue my passion for sharing my knowledge with others. The application process for the internship was quite simple; I had to answer why I should be hired for the internship and if I would be available for a 3-month tenure. Soon after I applied, I received an email from them stating that I was shortlisted for the next round wherein I had to submit an assignment. The assignment comprised of 15 conceptual and application-based questions around Chemistry of grade 12; I answered the questions to the best of my knowledge. In a couple of days, I received another email from them which read, ‘Welcome to the Gradeup family!’. My responsibility at GradeStack was to write comprehensive and simplified answers to various concepts related to 12th-grade Chemistry. I was required to solve conceptual, application-based, and numerical problems given in the exercises of reference books for CBSE. Owing to the quality of my work, I was extended the responsibility of answering mathematical questions as well for both CBSE and Rajasthan Board. They shared the questions with me in a Word document, and I uploaded the answers on Dike, their web portal. Their expert panel would verify these answers and share their feedback on it. Since it was a virtual internship, I didn’t have to compromise on my college studies and could work from the comfort of my home. At GradeStack, I learnt the importance of planning and prioritizing for ensuring that the work gets completed within deadlines. It helped me get a better hold of the concepts in knowledge in Chemistry and Mathematics, not to mention that the stipend amount helped me contribute to the finances of my family. The highlight of the internship is the fact that I was able to share my knowledge with students and help them in their academics. I want to thank Internshala for helping me get this internship where I realised the true meaning of being a teacher. Are you also looking to pursue your passion? Apply to content writing internships and write your own success story. Nice post thanks for sharing this informative article..! !